Alice Eve Cohen is a writer and solo theatre artist. 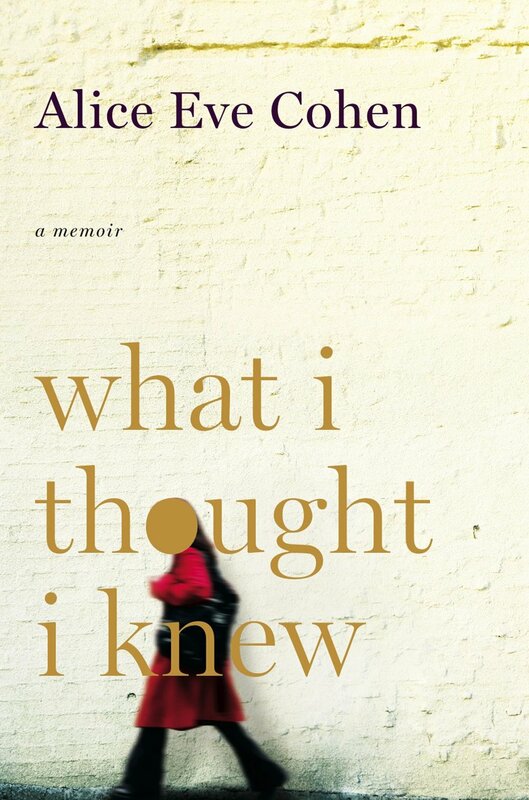 Her first memoir, What I Thought I Knew, received the Elle Magazine Literary Grand Prix for Nonfiction, was one of O: The Oprah Magazine’s 25 Best Books of Summer, and was one of Salon’s Best Books of the Year. A solo theater artist and playwright, she has toured her plays nationally and internationally. She teaches at the New School and lives with her family in New York City. Visit her website here. "For the first time in decades I’m remembering Mom, all of her--the wonderful and terrible things about her that I’ve cast out of my thoughts for so long. I’m still struggling to prevent these memories from erupting from their subterranean depths. Trying to hold back the flood. I can’t, not today. The levees break."